This paper presents the first records of the parasitic copepod Caligus furcisetifer Redkar, Rangnekar et Murti, 1949 beyond Indian waters, specifically, on the body surface and head of the critically endangered largetooth sawfish (commonly referred to as the freshwater sawfish in Australia), Pristis microdon Latham, 1794 (Elasmobranchii, Pristidae), in brackish tidal waters of the Fitzroy River in the Kimberley region of Western Australia and the Leichhardt River in the Gulf of Carpentaria in northern Queensland. This represents a geographic range extension of ∼8000 km for this parasite. Further, it is only the second member of the genus Caligus to be found on an elasmobranch host in Western Australia and it is the first time this species has been reported from the Southern Hemisphere. Male biased dispersal of P. microdon may be the vector in which the parasite has dispersed from India across to northern Australia, or vice versa. 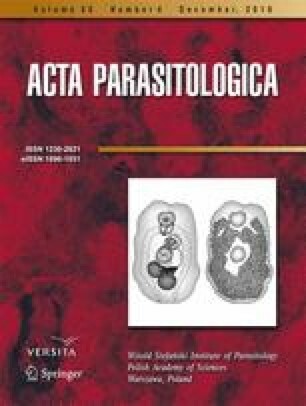 A decline in populations of the critically endangered P. microdon (and possibly other pristid species) in these regions may lead to a concomitant decline in their parasite fauna.